GWA Cars and Finance | GWA specialises in dealing with all aspects of vehicle purchase, making life easier for both business and private clients. 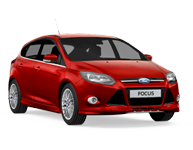 Choose from our stock of quality used cars and vans/commercials Finance options to match your requirements. You dream it – we’ll find it. And finance it! If we don’t stock it, we’ll find the right vehicle for you. GWA specialises in dealing with all aspects of vehicle purchase, making life easier for both business and private clients. 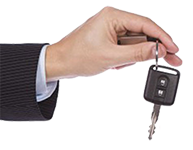 We source and supply both new and used vehicles from any manufacturer and arrange the most suitable finance package, along with any extra services that you require such as maintenance plans. To assist in bringing you some of the best deals in the market place, we work in association with Network, using their phenomenal fleet buying power. And we are truly independent, which means we’re not tied to any bank or vehicle manufacturer, so you can be assured that you’ll benefit from our totally practical and impartial advice. Whatever you’re looking for: new car sales, used car sales, car finance, used commercial sales, new commercial sales in Chichester, Bognor, Portsmouth, or anywhere else in West Sussex, Southampton, Hampshire or the rest of the UK… just tell us exactly what you want and we’ll find the right vehicle for you!